The care and use of the lowly pencil in classrooms says a lot about what we value and our relationships with students. 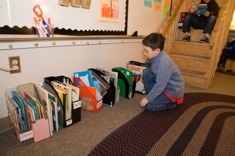 When students help us organize materials, we are often pleasantly surprised at the results. 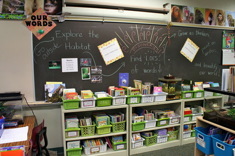 What's your favorite literacy spot this year in your classroom? 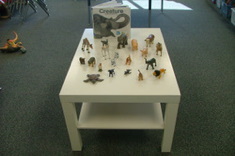 We asked our friends and contributors at Choice Literacy to send in pictures with brief descriptions for this two-part feature. 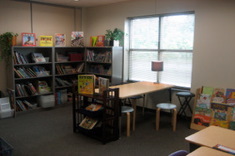 Here is a peek in the classrooms of Donalyn Miller, Julie Johnson, Mary Lee Hahn, Katie DiCesare, and Mandy Robek. 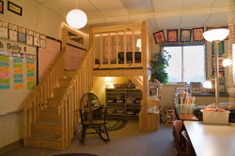 We asked a few Choice Literacy contributors to share their favorite classroom spaces with readers. 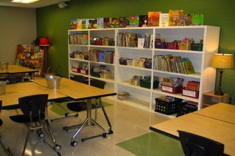 We hope you'll get some ideas for your own classroom design from these amazing teachers. This is the second installment in a two-part series. 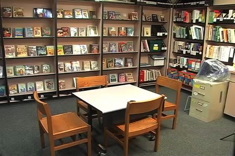 In this video tour, Jessica Ardela and Josie Stewart talk about the renovations in progress in bookrooms at their school in Dublin, Ohio. The goal is to make it easier for students and teachers to access the texts they need, as well as create spaces for professional conversations among teachers. 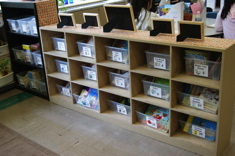 How do you organize and use book boxes? Every teacher has their own twist on the answer to this question. 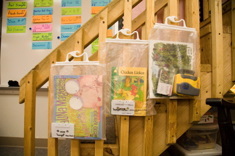 Choice Literacy contributors give examples from grades 1-5 of how they use book boxes and bags with their students. 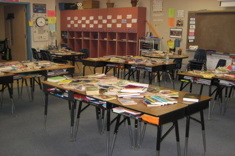 Ann Marie Corgill switches from a 1st to 6th grade classroom, and finds herself immersed in rethinking the “learning landscape” as she unpacks boxes and sets up her classroom. 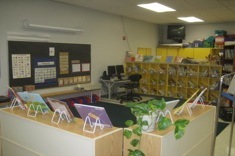 While the room looks a little different, the principles for classroom design are the same. She shares her process in this photo essay. 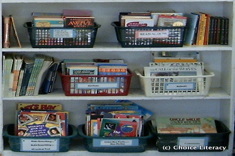 Is your system for sharing books from a school bookroom or literacy closet working well? 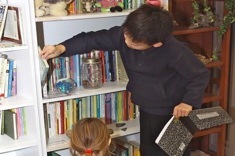 Shari Frost provides 10 practical tips for getting the best use out of shared literacy resources. By upending the classroom library and asking students to sort and reorganize it, Karen Terlecky gets insight every year into the ways students categorize texts, as well as their emerging understanding of genre. The Sisters (Gail Boushey and Joan Moser) have some ingenious tips for freeing up traffic paths and clustering literacy work areas. 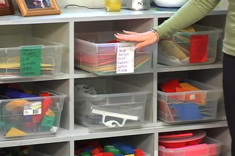 The Sisters' design tips on tight classroom spaces cover walls and creative storage in this photo essay. Here are a few suggestions and quick tips for a lighting redesign from The Sisters (Joan Moser and Gail Boushey). Design tips from “The Sisters” (Gail Boushey and Joan Moser) for beautiful and functional meeting areas. The Sisters (Joan Moser and Gail Boushey) contribute a photo essay on design tips for wall displays. 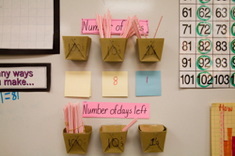 Jennifer Allen gets creative with space for displays in her literacy coaching work. 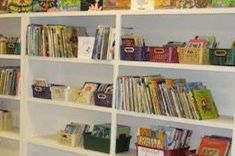 In this six-minute video, The Sisters (Gail Boushey and Joan Moser) give a tour of a “choice” bookroom. 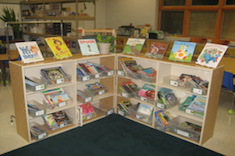 Unlike many bookrooms organized by level and maintained by teachers, this room of chapter books is organized by author. 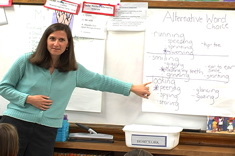 In this first of a three-part video series, “The Sisters” (Gail Boushey and Joan Moser) help 7th grade teacher Erin declutter and rearrange her classroom. 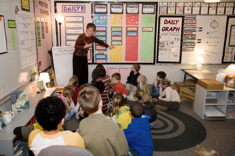 Danielle French leads her kindergarten students in Waterville, Maine, during morning meeting. After the meeting, Danielle talks with “The Sisters” (Gail Boushey and Joan Moser) about the value of this daily routine. 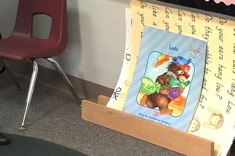 In this two-minute video, Joan Moser shares a simple tool teachers can create for their classrooms to keep Big Books, charts, and laminated large materials organized.